Product #18650 | SKU RODMICON10 | 0.0 (no ratings yet) Thanks for your rating! The Rode MiCon Connector for MIPRO Devices provides seamless integration between the Rode HS1 headset, PinMic, and Lavalier microphones and a wide range of wireless systems. 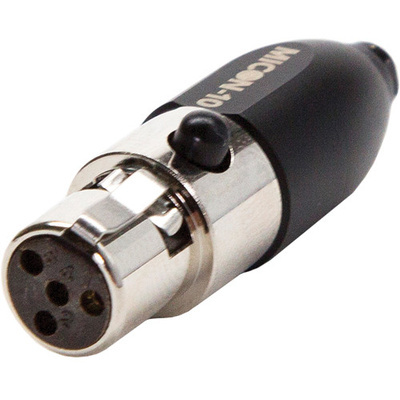 This connector is designed to connect to the MIPRO transmitters with a 4-pin mini XLR connector.